A retail needs study looking into residents' shopping and leisure habits is currently taking place as part of Chichester District Council's Local Plan Review. The council has commissioned the study which will include a telephone survey. The survey starts on Monday 15 January, and will take place over three weeks. It is being carried out by NEMS Market Research and will take around seven and half minutes to complete. 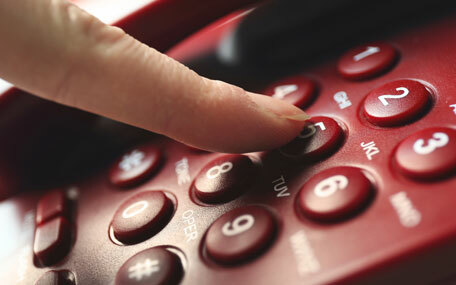 Most calls will be made outside normal working hours in order to ensure that the working households can take part. "We want to reassure residents that this isn't a scamand that the survey is being carried out lawfully, according to strict market research regulations," explains Councillor Susan Taylor, Cabinet Member for Planning at Chichester District Council. "As part of the Local Plan Review we want to look at retail and ensure that the needs of the future can be planned for and look at some of the issues affecting the retail sector in our district. "The study is using a variety of methods to gather information and for those who choose to take part, this is an excellent opportunity to be involved in helping our district plan for the future. The information provided will help give us a better understanding of how and where people like to shop and spend their leisure time." The market researchers are aiming to speak to around 700 residents in the district, and also just outside the border to gain the views of people who may visit Chichester. All information gained from the questions will remain confidential. Information from the survey will be handled according to the eight Data Protection principles of good information handling practice, as required by the Data Protection Register. Residents who receive a call are under no obligation to take part. People can find out more about the retail study by contacting the council's Planning Policy team.